This is 8 weeks worth of progress. I started at 124 pounds and roughly 19% body fat. After 8 weeks I was at 117 pounds and 17% body fat. 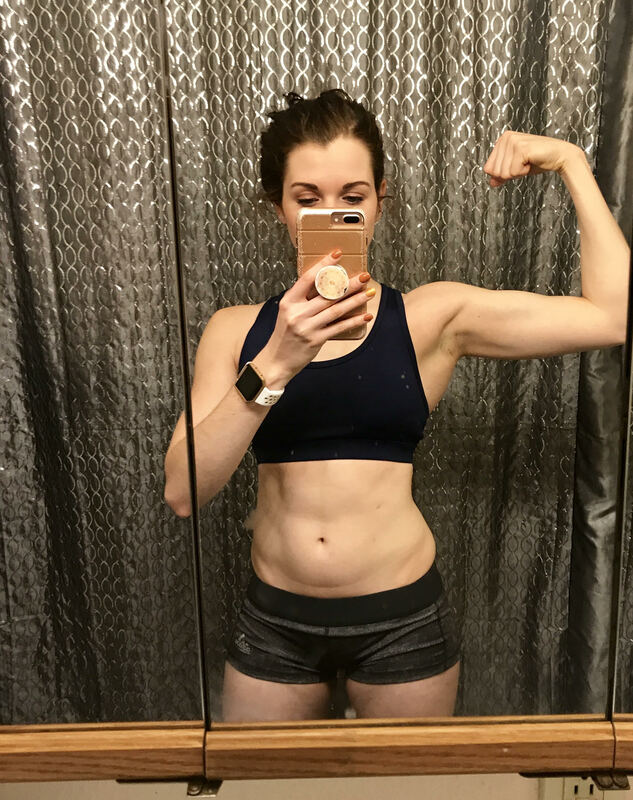 I followed the weight loss meal plan for the entire 8 weeks I was on the program. Before this program I didn’t even have a gym membership. The only weights I had were the few dumbbells in my garage! 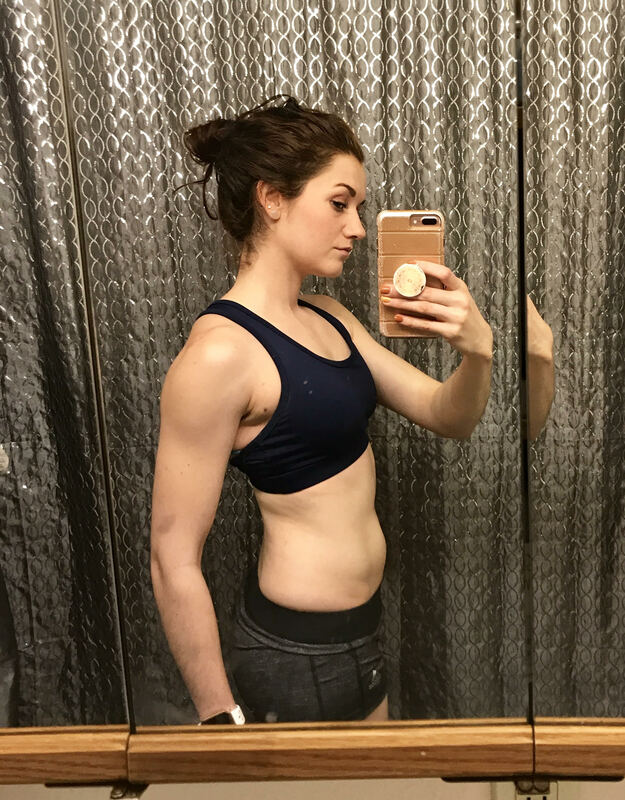 I was able to figure out how much I could lift in the gym and maintained that weight since I was in a calorie deficit. I followed the 5 day split. I did HIIT on my two days off each week and a 3-5 mile hike once a week. 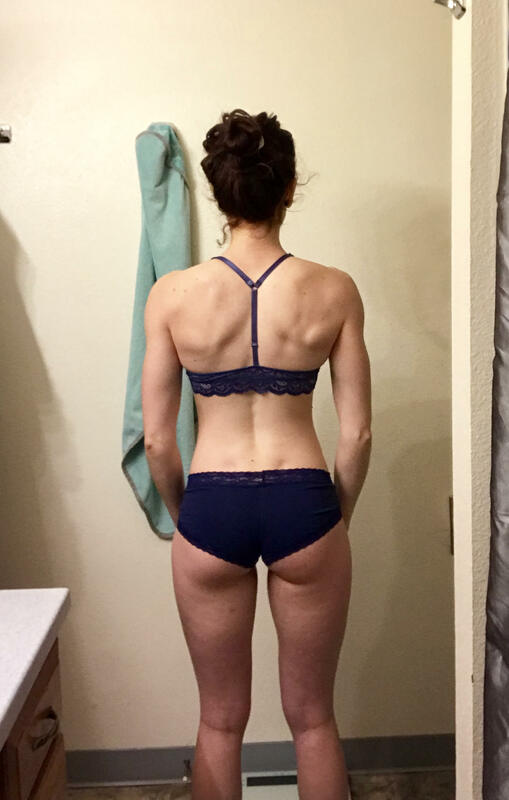 I honestly wasn’t getting the results I wanted with past programs or diets. I dreaded working out and had a negative attitude toward controlling my diet. At that point I was desperate and was willing to try anything. 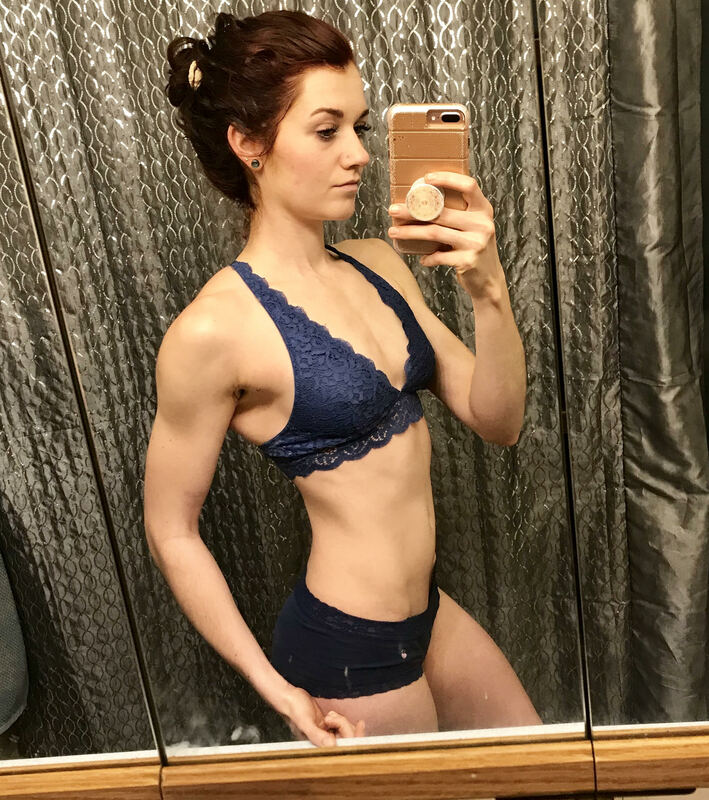 I stumbled upon the Muscle for Life website when I was doing research on supplements and macros because I was trying to figure out what would work for me. I really liked how Mike’s articles where backed up with credible sources and research. Buying his book and starting his program was a no brainer for me. I love that I’m in and out of gym in about an hour! I look forward to my workouts and am motivated to go to the gym because I know every workout is getting me one step closer to my goal. Tracking my macros was a little rocky at first, but after the second week, it was easy for me to hit my targets! The meal plan that was provided definitely gave me a good idea of what my meals for the day should look like and how I could adjust them for different varieties of foods. It’s foolproof! I don’t feel restricted with what I can eat. I can choose a wide variety of foods I love and still reach my goals. Past workout programs I’ve tried had crazy exercises, sets, or reps, and required special equipment. 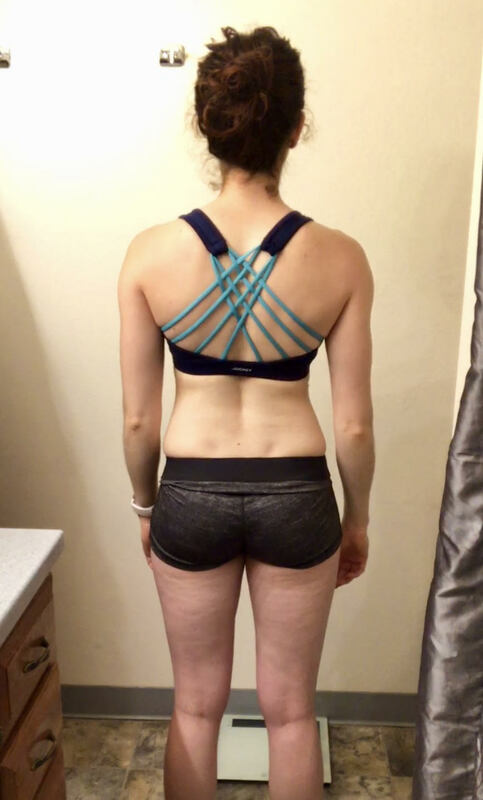 I love how simple this program is to follow and you still get the results you want! I have more confidence in the gym. Hands down. I was so timid and scared to go to the gym and lift weights with people around. Mainly because I felt like I didn’t know what I was doing . . . but now I show up to the gym, open my Stacked app, and focus on what I need to do. If I’m not familiar with an exercise or am iffy on how my form should be, I check out the examples/links provided in the book to help me out. I recommend Thinner Leaner Stronger and Bigger Leaner Stronger to anyone and everyone that asks me what I do. I have friends and family all the time ask me what they should eat, what should they do at the gym, or what supplements to take. I reference the information I learned from reading Thinner Leaner Stronger and tell them to check out the Muscle for Life website. Especially for women, don’t be afraid to lift the heavy weights with the boys. You’re there for yourself, not for anyone else. I used FORGE and PULSE for fasted training in the mornings. The pre-workout doesn’t make you jittery at all. It woke me up at 3 am to hit the gym and kept me going when I got to work! I also used PHOENIX during my cut.